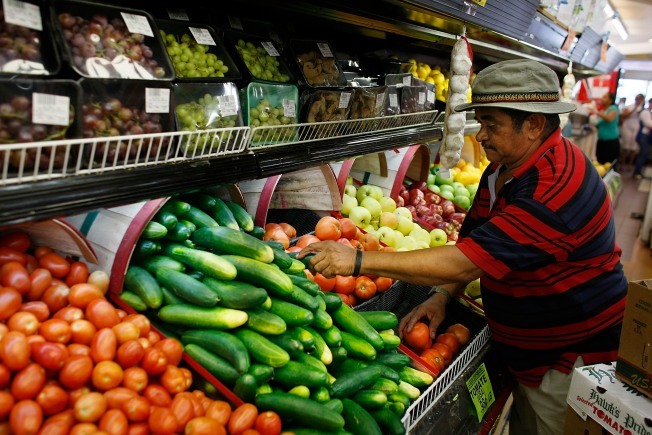 A worker stocks his shelves with vegetables. A Brooklyn plant-based holistic lifestyle brand, Hol-Life Industries, LLC, is hosting its very own restaurant week for vegetarians. From October 19th - 25th, vegetarians from around the city can stop by one of nine participating Brooklyn veggie restaurants, and try anything from $25 three-course prix fixe dinners to a $5 Tortilla Soup. Vegetarian Restaurant Week comes at a time when vegetarian-only restaurants are on the decline, as more and more animal sympathizers feel better about eating organic and free-range meat. The Brooklyn Paper reports that "Melissa Danielle, the restaurant week producer, said that the crash of vegetarianism is a result of livestock being raised more humanely and in a more environmentally conscious manner — reducing the knee-jerk reaction against consuming animals." In a post on BKLYN Goes Veg! event organizers dispute the claim that Vegetarianism is dead. Regardless, organizers found participating restaurants throughout the borough. The eight restaurants are spread out between Cobble Hill, Greenpoint, Ft. Greene, Park Slope, and Williamsburg; with the online-only VeggieBrothers.com offering 10% off your first order, and they deliver anywhere! It's all a part of celebrating Vegetarian Awareness Month, and BKLYN Goes Veg! is just a piece of the Herbivores-Only pie.